Today’s young adults face huge financial obstacles, with huge amounts of student loan debt, difficulties in getting good jobs, and overall lack of confidence about their future. The last thing most young people are prepared to do is to start thinking about laying the groundwork for accumulating wealth decades into the future. Yet if you have at least some income from work and can only afford to make a single move to save for your financial goals, the first thing you should do is to open a Roth IRA or contribute to a Roth 401(k) at work. Even small amounts invested in a Roth right now can build up to huge riches over time, and even if you can’t fully appreciate the value of future wealth, your future self will definitely thank you in the long run. Why the Roth is perfect for young people: Retirement accounts offer big tax savings to workers of all ages, with different types of accounts featuring different tax breaks. Although you face penalties if you need to take money out of most retirement accounts before you reach early retirement age, you can avoid having to pay taxes on the income and capital gains that the investments inside those retirement accounts generate over the years. 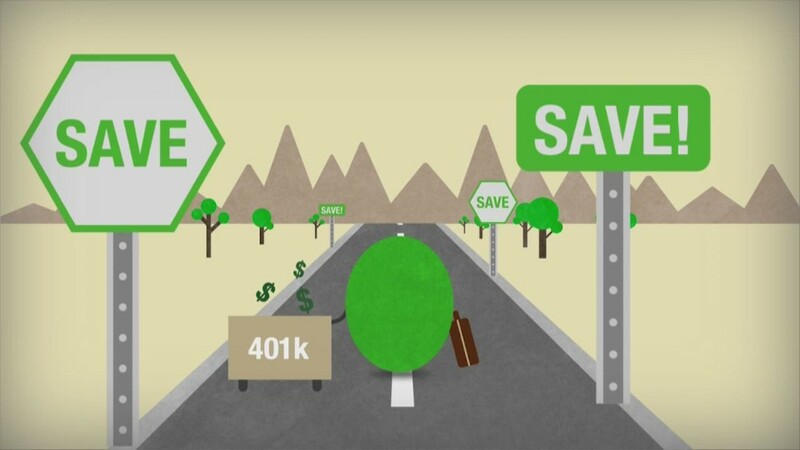 It’s true that traditional IRAs and 401(k) contributions offer upfront tax deductions. But most young people are in the lowest tax brackets they’ll ever be in, and the value of the taxes you’ll save is relatively low. By contrast, Roth IRAs and 401(k)s don’t give you a tax break when you contribute. In exchange, though, you’ll earn tax-free growth throughout your career — and avoid what could be much higher tax rates by the time you retire. Share your story: How did you start investing? You can open a Roth with just a small amount: Many young adults figure that they don’t have enough money to warrant opening a retirement account. Yet the rise of discount brokerage firms and other financial institutions has made it easier and cheaper than ever to start investing. If you want to invest in mutual funds, you’ll find a wide variety of fund companies that are willing to give customers a chance to invest cheaply through automatic investment plans. If you’ll commit to contributing $50 to $100 on a monthly or quarterly basis, then many fund companies will work with you — and having that automatic investment program in place will help you build some much-needed financial discipline to ensure that you’ll stick with your savings plan over the long haul. What should you buy? Exchange-traded funds have become extremely popular and easy to use, and they make great investments for retirement accounts like Roth IRAs. Low costs and commission-free treatment from some brokers make ETFs a smart vehicle for building wealth. Putting together a diversified portfolio of ETFs is easy. By finding a broad-based U.S. stock fund and then considering adding an international stock ETF and a fixed-income-oriented fund, you can easily put together a balanced portfolio in whatever proportions match up with your risk tolerance. For instance, Vanguard ETFs like Vanguard Total Stock Market ETF (VTI) and Vanguard Total Bond Market (BND) are on multiple brokers’ commission-free lists and offer low annual expenses. Most brokers have similar ETFs in their approved lists, and with many brokers offering long lists of ETFs at no commission, you can tailor your portfolio easily to whatever your favorite types of investments are. Bottom line: Don’t wait. Most young adults figure that thinking about their financial future isn’t worth the effort, given all the other challenges they face. But Roth retirement accounts put time on your side — and you don’t want to waste any of it if you want to put yourself in position to reach all the financial goals you have for your life. Dan Caplinger writes for The Motley Fool. He was an early financial bloomer and owes a debt of gratitude to his parents for getting him started on the right foot. He has no position in any stocks mentioned, although he does own shares of various Vanguard ETFs.